Click here if you do not have an FAA email address. 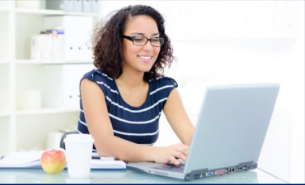 All FAA Employees have access to Skillsoft courses in eLMS as well as Skillsoft Books, Videos, and Audiobooks on the Skillport application you can access on your computer, or your mobile device. In today’s fast-paced, technology driven world, you need access to learning whenever you have free time. Whether it is a short five minute video on a topic that interests you, or an e-book to read on the flight next week, Skillport gives you access to learning when you need it. Access thousands of books, videos, and audiobooks on the go, or at your desk. On-Demand IT Training is material that you can access right away, anytime you need it. The step-by-step guidance found in IT Training Aids will help with both FAA specific systems and applications, as well as common software like Microsoft and Adobe products. Take 5 To Learn (T5TL) delivers short training videos and time-saving tips in commonly used desktop applications that will help you at work. Videos are generally less than five minutes in length and are available to current FAA employees (contract employees are excluded). IT Training Services offers a schedule of Instructor Led IT Training for common software (such as Microsoft products). You can register for these courses in eLMS. Need help? Visit the eLMS and Blackboard Resource Center for helpful job aids, standard operating procedures, videos, interactive demos, and frequently asked questions. Are you current with your mandatory training? This is a friendly reminder to review your eLMS Assigned Training tile for training you are required to complete. If you are new to the FAA, eLMS info and resources are avaliable on MyFAA. First time using eLMS? Take a look at our Welcome to eLMS job aid. Be aware that it will take up to two weeks for you to gain access to eLMS. If after two weeks you still do not have access to eLMS, email the eLMS and Blackboard helpdesk. For eLMS and Blackboard issues please email elmssupport@faa.gov (Monday-Friday, 8 am to 7 pm Eastern Time). eLMS Chat Support - Chat with a live helpdesk agent (Monday - Friday, 9am to 4pm Eastern Time). Did you know that there are two separate Help Desks for eLMS or computer-related training issues? Are you confused about which Help Desk to contact? Please review our desk guide for more information. To request IT support, contact the MyIT Service Center 24 hours a day, 7 days a week. Call 1-844-FAA-MyIT (322-6948), email helpdesk@faa.gov, or visit the Service Request Portal. To optimize your eLMS experience, make sure your system meets our ideal requirements. Select here for information on supported operating systems, browsers plugins, and other settings and requirements. Even though eLMS works on Mozilla Firefox, Apple Safari, and Google Chrome, not all online courses function as they should within these browsers. Because of this, FAA employees and contractors should use Internet Explorer while taking online training within eLMS. Routine maintenance is performed in eLMS twice every month outside of normal FAA business hours. Please select here for more details and the monthly schedule. If you are an FAA contractor, you MUST log in to your email account at least once every 90 days or your eLMS account will become inactive. If you have an inactive eLMS account, click here for instructions to re-activate your account. NOTE: Please contact your line-of-business IT Help Desk for password issues. Users log into eLMS using FAA ITs MyAccess. For additional information please click here. If you do not have a fully enabled PIV card, go to https://IDMS.faa.gov to register your PIV card. For detailed instructions on the registration process, go to click here. Need to reset your FAA network password? Follow these steps. Problem with this page? Let Us Know!